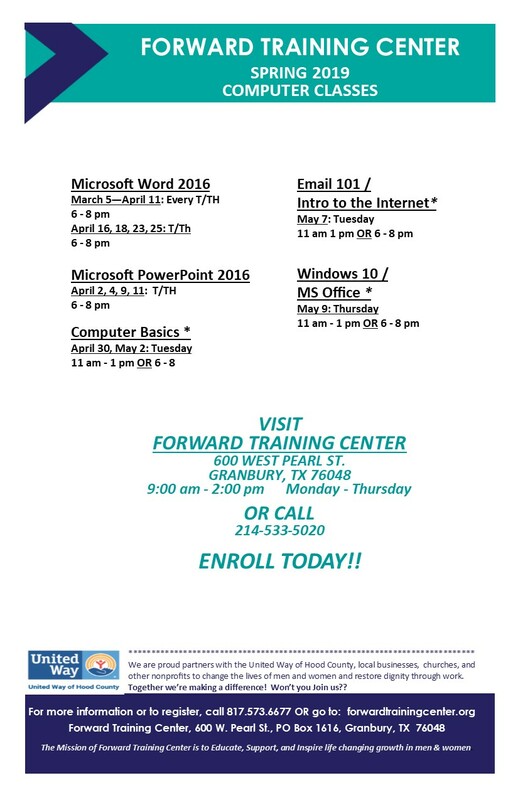 Forward Training Center of Hood County [FTC] is fortunate to be a part of a close-knit giving community, who is eager to partner with local nonprofits. 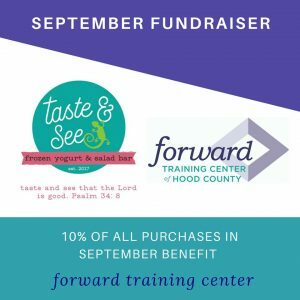 Taste and See, a wonderful for-profit eatery on the Historic Granbury Square, has chosen Forward Training Center as the recipient of 10% of their gross sales each day during the entire month of September 2018. 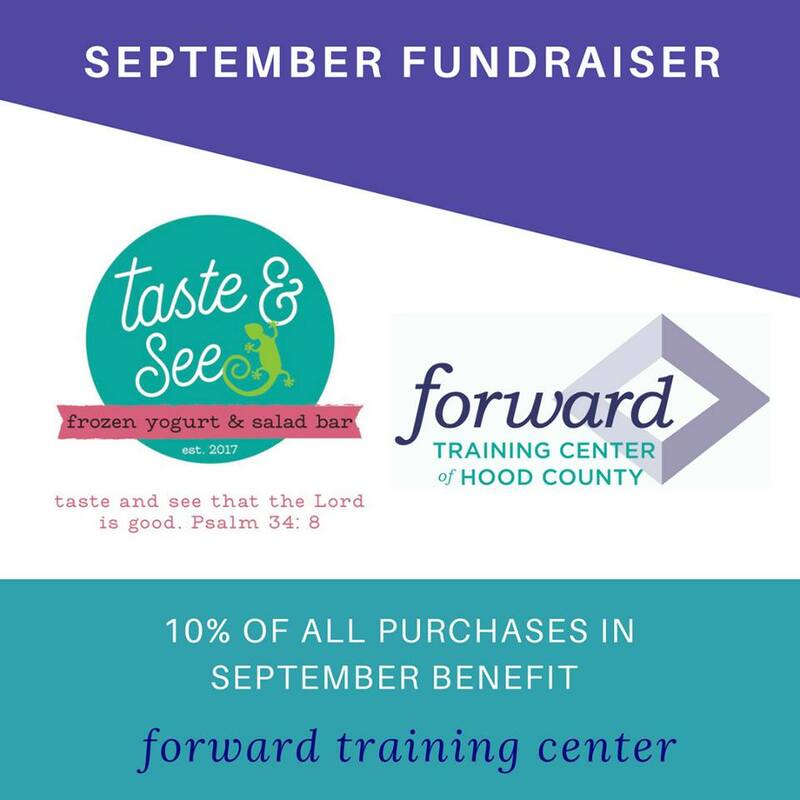 Stephen and Kim Schultz, owners of Taste and See, are so excited to partner with Forward Training Center during the month of North Texas Giving Day to truly raise awareness and donations towards FTC’s mission. They have displayed information about Forward Training Center and North Texas Giving Day. This small eatery just opened its doors to the public during the summer of 2018. It is quickly becoming a popular place for people to gather on the Historic Granbury Square, with the perfect view of the iconic Hood County Courthouse. The entire month of September each customer who walks through the door will see FTC photos and videos depicting success stories of student and mentors. We feel blessed to be a part of a supportive community where our organization continues to grow. As we like to say, we will keep Moving Forward! Keep updated with our progress on their website here!